What happens when you let a South African trailbuilder loose in the no-rules mountain kingdom of Lesotho? If you’ve already got your hands on the brand new issue of Singletrack Magazine, you’ll have likely read about Kristi Stump’s wild adventure racing the 6-day Lesotho Sky event. If you haven’t, then the good news we have for you is that you can grab your copy of Issue 118 online right here, and have it shipped straight to your door! Located within South Africa, Lesotho is a small landlocked kingdom that is defined by its high-altitude mountains that reach as high as 3,400m up into the sky, and as low as 1,400m. 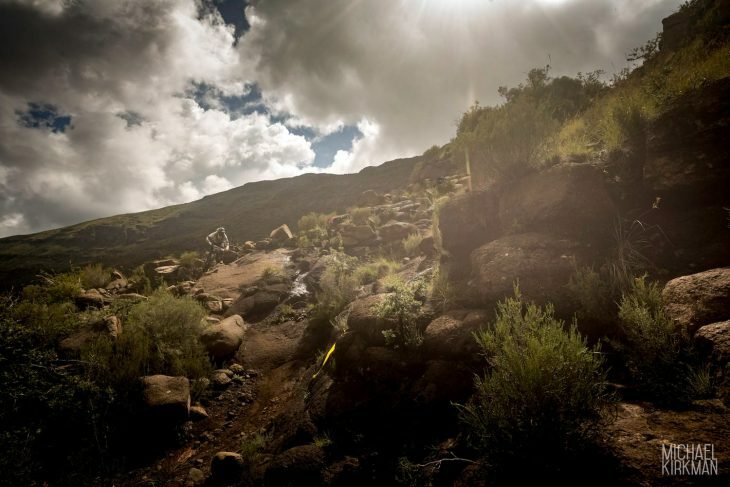 As well as being home to the Lesotho Sky event showcased in Issue 118, Lesotho has also just recently played host to the Kingom Enduro event – a 3-day enduro stage race, and Africa’s first Enduro World Series qualifier. If you want to get a feel for this wild countryside and the trails that some of the world’s fastest racers have just taken on, read on for the full story from the Kingdom Enduro event organisers, and check out the video at the bottom of the story. Brooding skies and steep mountain trails. All photos credited to Michael Kirkman. Kingdom Enduro is what happens when you let a South African rider/trailbuilder loose in the no-rules mountain kingdom of Lesotho, Africa. 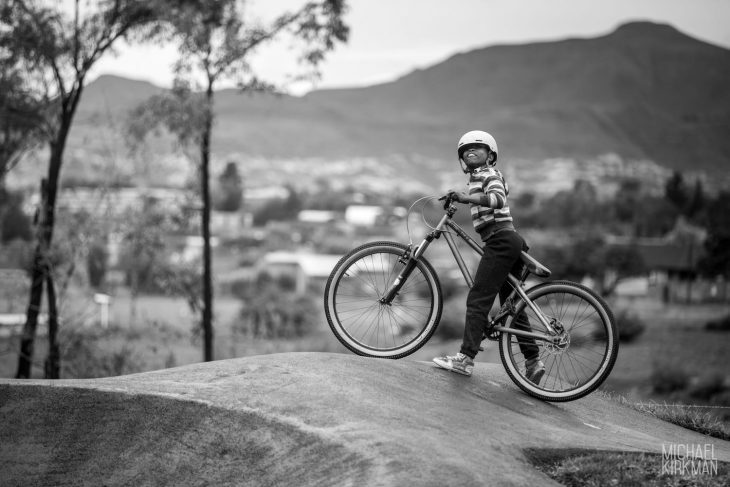 Rene Damseaux is the man behind the new Kingdom Enduro event and has toiled for the last few months in the wild Lesotho countryside fashioning a series of tracks and trails fit for an EWS-level, 3-day stage race. Rene’s honed his trail sculpting skills over the last three summers guiding and carving out sublime singletrack in Molini Di Triora, Italy and after visiting Lesotho to ride, quickly had a crazy idea to bring enduro stage racing to this this amazing country’s untouched terrain and mountains. The hecklers gather at the top of a long climb. Just what you need. This land-locked independent Kingdom is one of the most deprived nations in Africa, but is stunningly beautiful, with literally thousands of miles of uncharted and (likely) unridden paths and trails used for centuries by the Basotho people and their animals to move between mountains and settlements. 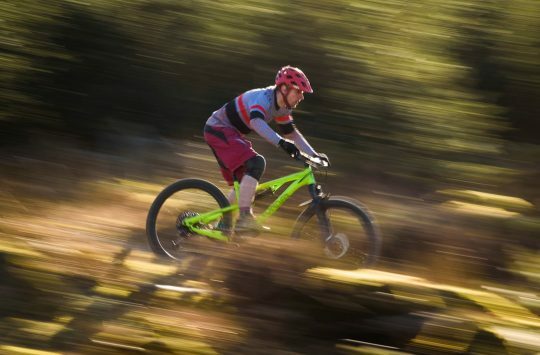 Kingdom Enduro tackles this wild terrain head on with a series of brutal hand-cut fresh trail sections linked into ancient paths and routes; joined together with loosely marked liaisons all adding to the adventure. Can you spot the yellow race tape? 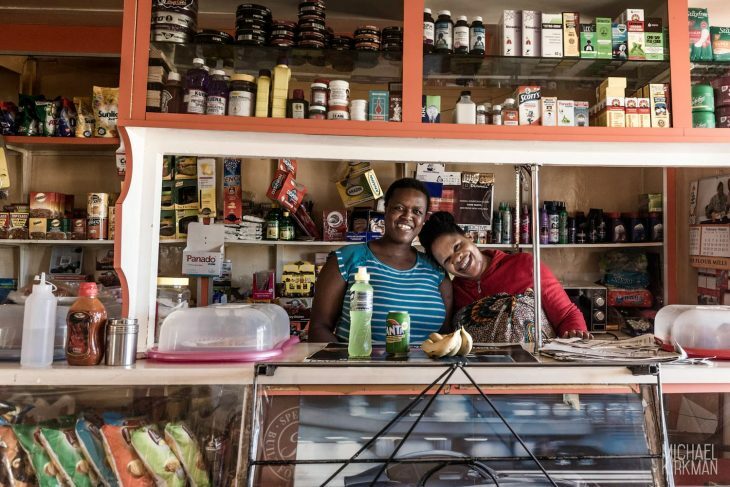 The race is based out of an old trading post in Roma dating from when Lesotho was a wilder frontier land of merchants cutting deals with local farmers and shepherds. Little has changed really, as (apart from a few tar roads) the lush countryside is still completely unspoiled and the independent nation hasn’t been modernized or industrialized. 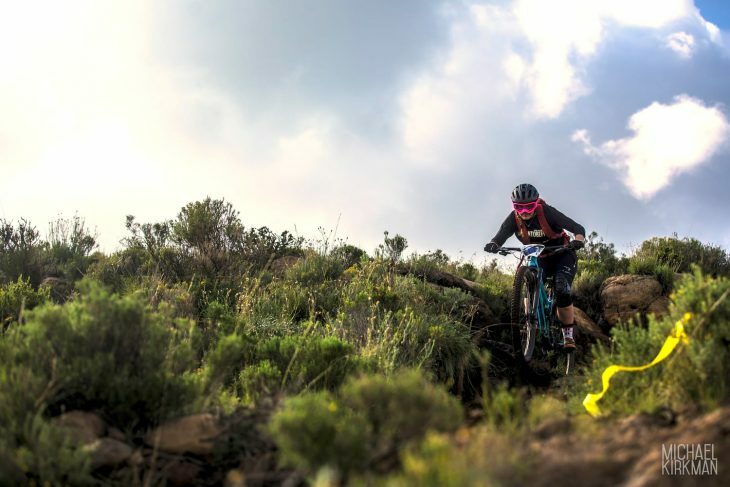 Kingdom Enduro stages criss-cross the local jagged peaks that rise up to 3,000m+ and start each day with racers taking local bush taxi uplifts to mountain passes to gain a head start on the descending. Race stages number up to six daily and vary from 5 mins long up to around 15mins. 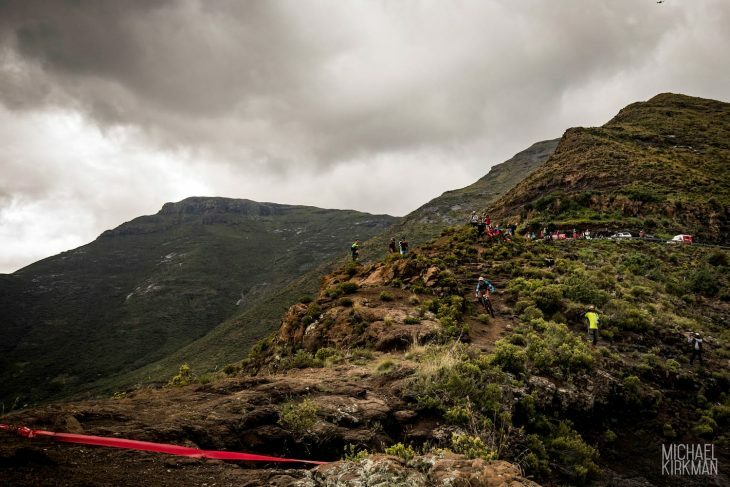 The sheer distance travelled and nasty climbs make the event tough even before tackling steep, rocky and rough timed stages, and the weather during this year’s debut event was untypically moist with thunder and lightning, so organisers cut the race short due to safety concerns. Beautiful untouched countryside as far as the eye can see. 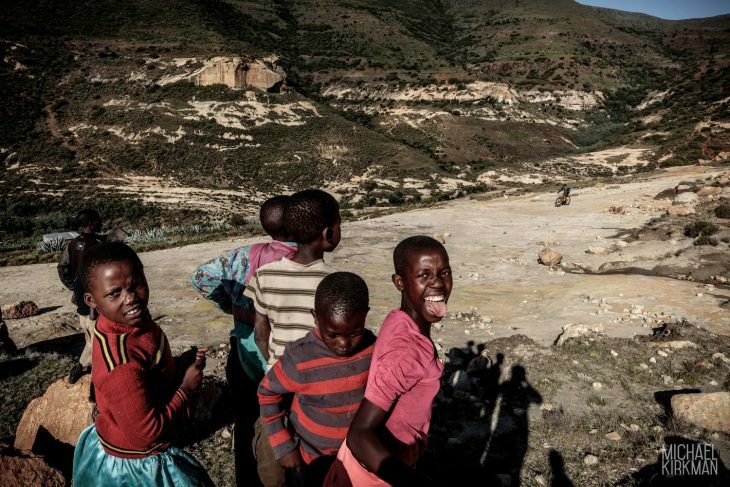 Geographically, Lesotho’s landlocked inside South Africa and consists of little but mountains. Having a low point of 1,600m (that’s higher than any other country in the world) presumably helps explain why it’s never been fully conquered. It’s rugged and beautiful in every direction; something even South Africans who’ve never visited will be blown away by. The terrain makes for some awesome mountain bike trails too, with so much space, freedom to roam and elevation to play with. 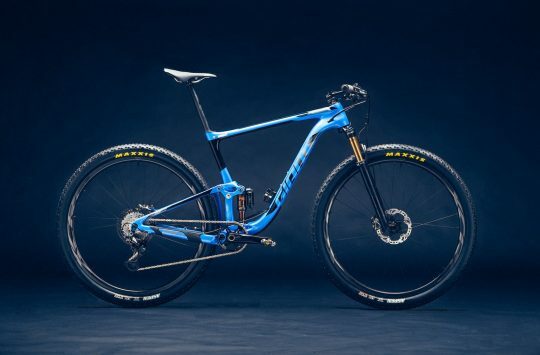 Plus, there’s every surface imaginable from slickrock to loam to mud to loose rocks, all dumped on gradients ranging from fast and flowy to suicidally steep. 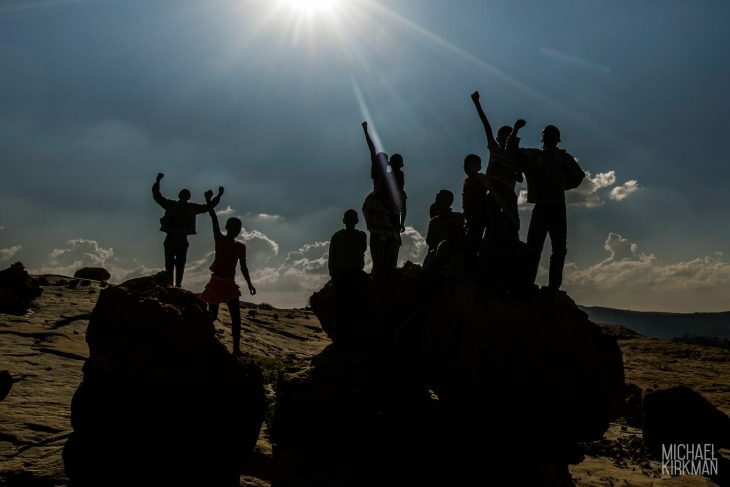 Most of the Lesotho population have few material possessions, but there’s an openness and warmth that’s almost shocking coming from a more westernised society. Don’t expect five star luxury or to remain isolated from Lesotho’s beating heart like on some exotic riding trips; and that’s the beauty of Kingdom Enduro; you’re right in and among it and end up experiencing the location and people in such a way it’s impossible not to let it get under the skin. Outside the capital Maseru, the majority live straight off the mountainous land as subsistence farmers with few shops or services, other than a local bar or rough and ready ‘shebeen’ (sometimes with an electric atmosphere of beers, house music and dancing; something the racers get to sample at the end of each day’s riding). Freshly-cut trails kept racers on their toes from top to bottom. In the wild open terrain between settlements huge hike-a-bike climbs and pedal liaisons snake through mud hut villages to access rough, rocky paths where one minute you’re completely alone and the next there’s people and animals everywhere. The race stages have everything from hand-cut berms and ruts like steep European or Alpine riding to completely open rock slabs or even simple pieces of yellow tape dotted across huge open spaces pointing you in the right direction. It’s part of the game staying on course and staying safe in a country where even the paramedics have to be shipped in from over the border. 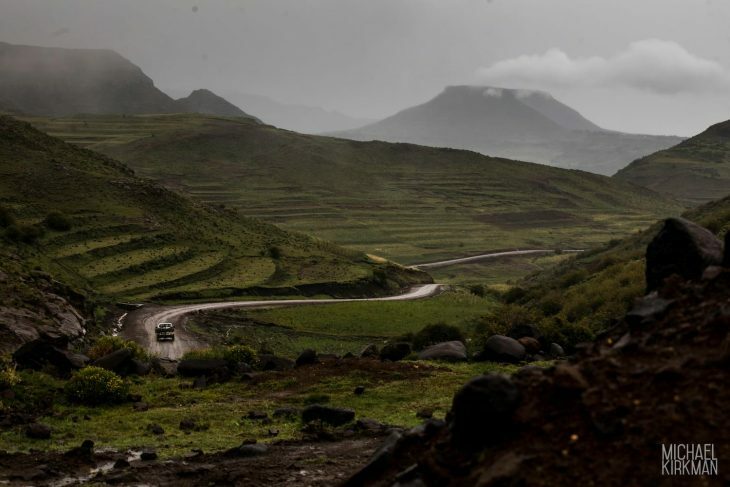 Crossing thigh-deep rivers, cruising through meadows rammed with wild flowers or smashing along rough mountain paths, at times Lesotho feels something like the garden of Eden. You might be feeling like you’re on this dark red earth anywhere at any point in time, but the locals always seem to know where you and the race is headed, and point you in the right direction, even if you’re not sure yourself. Sunshine – just like Calderdale! Kingdom Enduro’s trails have everything from steep rocky riverbeds to Utah-style slickrock, steep loamy forest sections to wide open dirt toboggan runs often tackled while gawping across endless vistas. Every corner brings a new view and a new type of terrain – all of it originally scouted, designed and adapted by Rene. Rene’s trails blended with Darol and Chris from Lesotho Sky’s organisation facilitate Kingdom Enduro, but more so than any other world-level enduro, the whole African experience makes the event – being so freestyle in terms of both the trails and the location is what’s so unique and different. This is a stunning place with an unpredictable charm where you never know what is going to happen next, and if that sounds like your bag, then simply don’t miss this event next year. Kingdom Enduro was an incredible experience and might herald the start of a lot more action and coverage for the growing mountain bike scene in this part of the world. 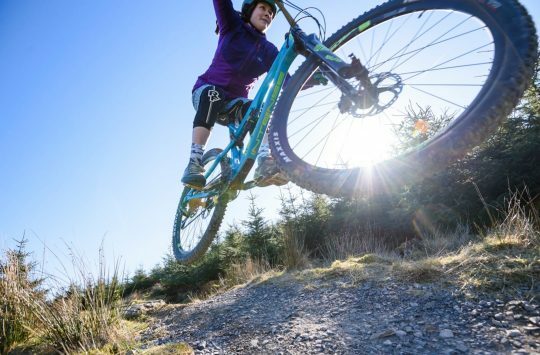 This year’s racers are privileged to witness and visit a place that’s largely untouched by commercialism, tourism and commerce yet, and in today’s world that’s a pretty compelling reason to visit if you’re looking for a proper adventure on your mountain bike. You can read more about Kingdom Enduro, the full results and the race’s origins in Lesotho as well as our other event, Lesotho Sky, over at the Kingdom Enduro website.